Once the game is out this will be the thread for naming and discussing contradictions, just like in the other sections. As a reminder, this does not count things like sprite glitches, typos, or "How can someone be that stupid?" Please tag your spoilers and label them by case. Okay, finally our first contradiction! At the end of case three Edgeworth determines that it was Hikaru that bashed him in the head, because he was hit from behind on the right side of his head - this would imply that the killer was right handed, and since Ogura is left handed, it must have been Hikaru. However, that assumes that there is only one way to swing a weapon. If Ogura had used a back-handed stroke with his left hand the weapon would have hit him the same way. Edgeworth's "contradiction" was not a contradiction after all. Wakana killed Akbey before the plane stopped for an hour in Seihou, that much is proven. But if cargo was being taken on and off the plane at that point, why didn't she dump the body? It was in Seihou that her cohorts loaded the fake statue into the hold, wasn't it? Couldn't they have helped her smuggle the body out? If the syndicate was as far reaching as the game wanted us to believe, there should have been someone or some way to get rid of a nosey Interpol agent. Or did I miss interpret something? Edgeworth did mention that customs is really tight, so if there was an extra, super-gaudy suitcase that was unloaded from the plane, it would've probably raised suspicions. The statue was switched, so if no one was paying attention in Seihou, then the smuggling ring could probably get away with it. That's about the most logical explanation I can come up with, given what we're told in-game. I can understand customs being really tight, except that the whole point is that they're smugglers. Sneaking things on and off planes is what they're best at! You'd think there would be someone on hand that could take a dead body for her. Location: The land of stress! Phoenix talks about how Manfred Von Karma is "long gone from this world" but he appears in GK. Sorry if this is explained in the game I've not played it yet. Case 4 is a flashback case. The case before Miles faces off with Mia for the first time I believe. I thought his case against Mia was his first...? Click the sig to see my graphics topic! My sig -is- original. Lots of people just make sigs similar to this one a lot. Location: The frigidland of Canada. The case against Mia IS his first real case but AI-4 was meant to be his first case for plot reasons and then didn't happen for plot reasons. This probably isn't really a contradiction, however, Badou wanted to shoot and kill 'Shiina' beacause of her betrayal etc? Then why was he aiming down at her leg? (looking at the screenshot where Rou apprehends her, it would have got her just below the knee, had Rou not got in the way) I'm pretty sure Badou is a good shot (being a firearms proficient detective for 7 years) and if he wanted to kill her he could have done so easily by aiming at her body/head? Also, If someone was holding someone else hostage would it not be safer to kill the hostage-taker outright, rather than risking Kay's life by trying to apprehend 'Shiina' by shooting her leg? Then again, I am just basing this on the Case descriptions page, so I may have misinterpereted it and Badou may not have wanted to kill her after all? I think maybe he aimed for the leg so there'd be less of a chance of him accidentally hitting Kay. Or if he did hit her by mistake, it wouldn't be fatal. here you read that von karma is in GK 60 years old. but as the game plays around T&T is he than not 67? Credits to Nadindi for both the avvie and sig! To people who have not actually played the game yet, please don't offer contradictions. Actually the screenshot is after Rou jumps in the way, I think Badou might have been partially lowering his gun after seeing Rou had her, and they're just illustrating that. Case 5 really screwed up the timeline for me. I'm sure it's supposed to take place after T&T, but Edgeworth's speech before the choice of whether to present the evidence or not. Asking what is law, what is justice. About what a prosecutor should be. It seems to point that AAI really happens between Ace Attorney and Justice For All as this seems like the most logical time that Edgeworth's views changed. It's probably not a contradiction at all, but I thought it was interesting to bring up at least. The timeline for the game is actually very specific. It has to be the March right after T&T. Edgeworth's mini-speech in case 5 was was just them revisiting the moral dilemma faced by all lawyers: whether to follow the law by the letter, or place the truth above all else. I don't think it's evidence that Edgeworth was actually wavering in the philosophy he taught Phoenix in 2-4. Well it seemed that way at first considering his mini speech began with him saying that he chose not to follow the path of Von Karma, and that he rejected Yatagarasu's method. Honestly I would think that by the end of T&T Edgeworth would know what to do instead of having a moral dilemma. It just seems to me that the only time he would really have one would be between the time he left in Ace Attorney and when he returned in Justice For All. I know it was all for drama, but it just seems weird considering everything he taught Phoenix about striving for the truth. It just seemed very OOC to me in a way. I disagree, I thought it was very in character. As someone who has already rejected the idea of "Get someone guilty by any means necessary" it would be very strange if he didn't feel some conflict over having to use illegal evidence against Carnage. But technically haven't Phoenix and Edgeworth done it before? I mean look at case 1-5. Sure they used evidence law to get Gant, but they still used evidence they acquired illegally. After all I wouldn't say that breaking into Gants safe was legal, but that didn't seem to phase either of them then. Then in 2-4 I may be misinterpreting it, but it seemed to me Edgeworth was saying that finding and proving the truth is the most important thing. At the time I know he meant that it's more important than a non-guilty verdict, but I feel he meant it in an overall sense as well. 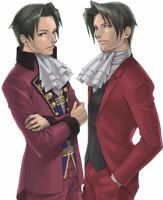 I'm not saying that Edgeworth shouldn't be conflicted, but Edgeworth knew who was guilty, and knew he had the means to prove the truth. So it just seems weird to me that Edgeworth would waver in his convictions especially if it meant letting the criminal get away. It just doesn't seem like post 2-4 Edgeworth, but I guess that's because I see Edgeworth as the kind of person who wouldn't waver after his enlightenment. I'm sorry if that seems weird or anything. No, I totally understand what you're saying, but I think you're being a little too hard on Edgeworth. In every case the circumstances are a little different, and they deserve to be analyzed separately. Sure Edgeworth has declared that it is the truth that matters most, but if he didn't have that slight hesitation when it came to the method, he would be no better than Yatagarasu. In the end it was only a short moment of indecision. I think if you didn't allow for Edgeworth to have those short moments of doubt, his character would flatten out pretty fast. Yeah I suppose you're right. Maybe I am being a bit too hard on him. Not intentionally though. I guess even Edgeworth needs to have moral conflicts sometimes. After all he'd be pretty much a robot if he didn't feel anything towards his actions at all. Guess I just figured that Edgeworth strongly knows what's right and wrong that he's confident enough to be able to make a decision such as that instantly. I'm not saying he isn't now, but I guess any one in his position would have some doubt. Maybe its just a different courtroom? Married to SnowWright! Father of Tornado of Souls! Last edited by jonathanrp on Fri Aug 21, 2009 11:08 pm, edited 1 time in total. Those designers might have been more conscious of the fact that using the old courtroom would look better against the old sprites than the new courtroom would.Them using the newer courtroom in this game seems more like an anachronism to me than a total retcon. That's just my opinion though. Don't forget Phoenix using the ear medicene to trick Furio Tigre. at the very end of rise from the ashes edgeworth said something about "pulling the same stunt gant did". Could edgeworth be inadvertently forshadowing his presenting knowenlingly illegal (and potentially forged) evidence to convict a criminal in gk-5? Anyway that just made me wonder's all. I was working on my AAO Fan game which has Himiko as the main character when I did her profile and realized something. Her age is contradictory. If she is 22, then that makes her having a younger sister impossible. We know that she had a younger sister who died 10 years before Case 4. But Yuuko was working at the Cordopian Embassy so she had to be at least 16. If Kazura is 22 in Case 4, minus 10, that would be 12 then Yuuko has to be 11 and younger which can't be true. Of course, Kazura's age could be a glaring contradiction that Badou picked up on but I haven't played Case 4 in a while, so I've forgotten. I think it's implied that she was lying about that entire incident. There never was a sister. I'm not sure if that's correct, but I think I remember reading that somewhere on the site. EDIT: I've figured out the reason why I was confused. I forgot something so simple. In the ending scenes of case 2 in AAI, Franziska mentions that she isn't working on the smuggling ring by herself and she mentions that she has a partner in investigation, which "will be clear to you later on" or something like that. Anyhow, we can safely acknowledge that she is talking about Romein LeTouse, in AJ Case 3, where he is on a secret mission - surprise surprise - regarding smuggling ring from Borginia to outer world, and was shot later on. How is this possible, though? 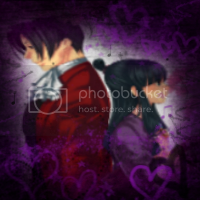 Nor Edgeworth or Franziska know that he'd be shot or he WAS shot, and - in fact - it should not be known by them. After all, they don't appear a single time in AJ Case 3, Edgeworth isn't in charge of prosecuting and Franziska has gone to Germany for good. Is my view of the timeline twisted, or is this a contradiction right here? It's not Letouse, Lang is the third person. Edgeworth remarks upon this when he first meets him in case 3. I think she's talking about someone else. The whole bent hallway/mirror wall contradiction can easily be explained: The mirror wall was broken before the murder. Someone (park staff, murderer, whoever) moved the badger doll to the end of the main hallway, just as decoration. Meanwhile, Devorae (and Devorae alone; Lance never entered the Haunted House) hid in the branch hallway. (Edgey didn't notice the branch hallway b/c of the beam he mentioned.) Also, there could've been a backhanded swing, as Croik pointed out earlier, so the left/right thing is resolved. The sound of breaking glass Edgey heard was part of the background noise; if the speaker that played it was in the dining room, it would've sounded much louder to Edgey. Summary: The sound of the mirror breaking was background noise. The mirror wall was broken before, and the doll moved into the end hallway (we don't know if it was actually mirrored at the time of the murder). The assailant hid in the branch hallway; in this situation, there is no need for Lance to also be there, or for there to be a murder, or anything. I just finished AAI. Fantastic game. Calisto Yew was not the sister of Cece Yew. This was proved when she revealed she was a mole going under multiple aliases, and Calisto's real name was never actually given. Edgeworth claims this was the first time the two were in contact, and while Edgey and Sportsman may not have talked, Sportsman did state his full name, and then apprehend Lance, who Edgey had spent that entire last chapter going after. 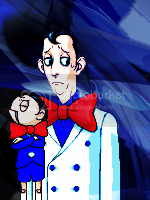 It is extremely unlike Edgey, and a total break in character, that he did not make a mental note of Sportsman's peculiar attitude after he talked to Lance, making it tres weird he treats Sportsman as a total stranger in AAI-1. So apparently, Queerces dripped some blood onto a box of Samurai Dogs. Considering the Samurai Dogs were on the floor, and the cut on Q was chest height, how on earth did that not splatter, if we assume the box was level, or run, if the box was tilted? Furthermore, Edgey could have ended the scenario with the pulley explanation twice as fast by referencing that Shii-Male had broken the ceiling fan as to collect the wire which she then wound up and stuffed in the clock, which by the way was never explained in game. Franziska in AAI is depicted as 19, same as GS3, indicating her birthday is post March, but pre October. Now, AAI-4 takes place when Franzy is 12, in the month of February. There is a comment about her bar Examination being due later in February, near the start of the case. If this is true, she would have gone home after AAI-4, completed her Bar Exam, and become a prosecutor still at Age 12. It is clearly stated she became a prosecutor at 13. The only way around this is that it took a longer time than expected to process her Bar Exam results, which is reliant upon Franzy's Birthday being pretty much March 1st. Well, Edgey had gone through two murders and a kidnapping by that point, and it was the middle of the night, and Jaques was there for about 5 seconds. It's not too much of a stretch to imagine that Edgey was really tired and just didn't remember him. But Edgeworth did recognize him. When they meet in AAI he says, "You're that prosecutor..." So he remembered his face at least, if not his name. ...Y'see, I don't really remember the itty gritty lines from the very beginning of the game But remembering a name but not a face seems like something Edgey could do when really tired.